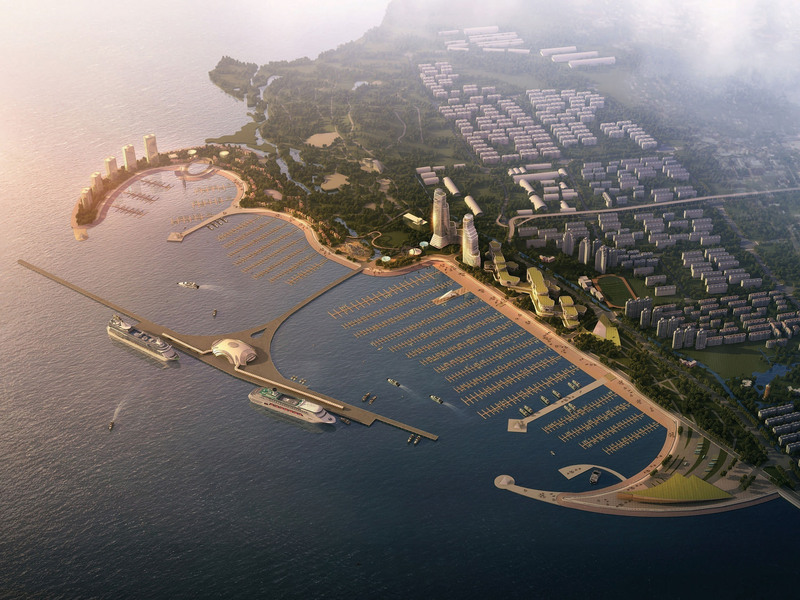 The Boashan Marina Development Concept integrates an urban design plan for a new marina, office, and shopping center in the Boashan District, located in the north eastern portion of Shanghai, China. 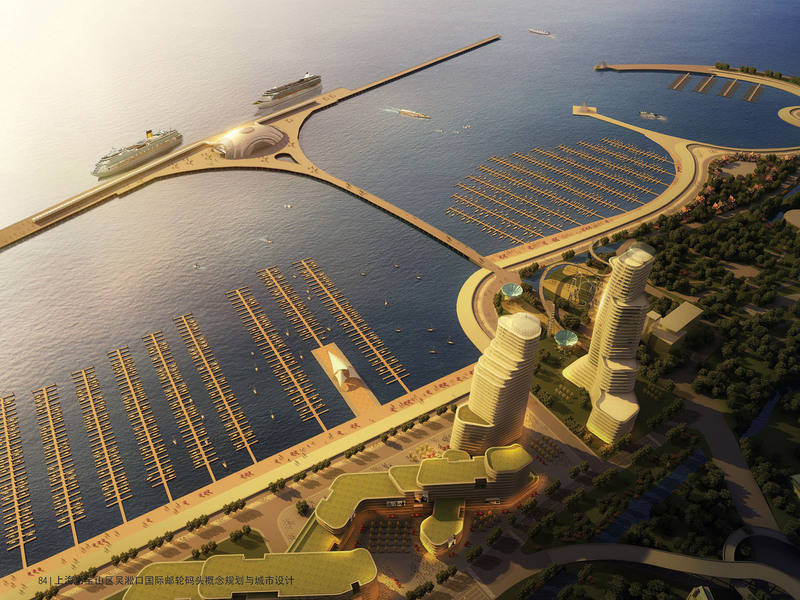 Adjacent to the existing Shanghai Cruise Ship Terminal, the site fronts the Yangsi River at the mouth of the Hongpu River which leads into the heart of Shanghai. 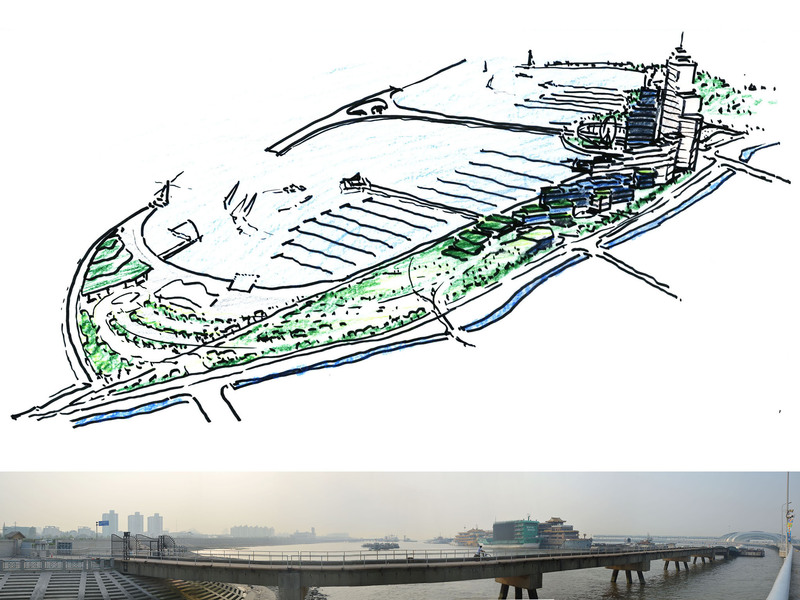 Building upon the site’s location at the confluence of these two major rivers, the concept alludes to this transformation envisioning a change of scale from east to west – from small human scaled “village” and gardens reflecting the ancient rural character of much of China – to a high rise scaled international office, hotel, entertainment and retail marina center which represents the globalization and future of Shanghai. 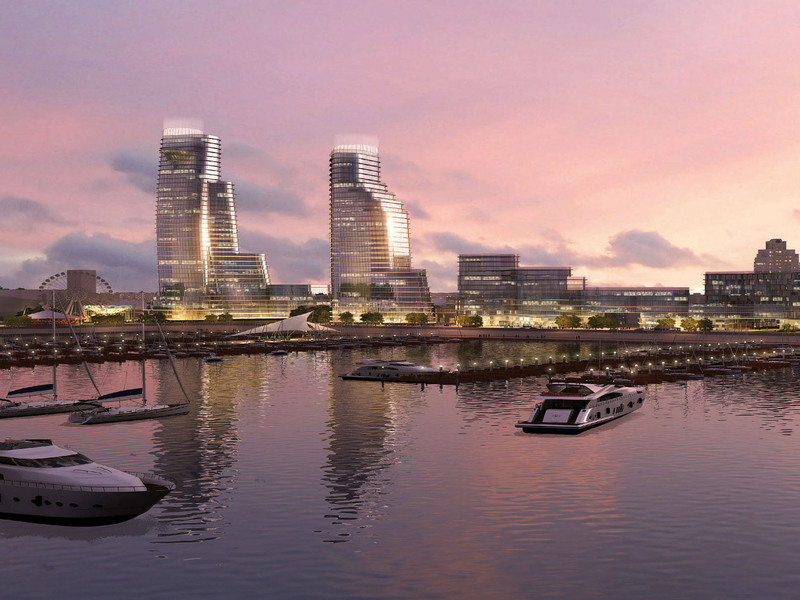 The design of the two towers, which emerge at the eastern end of the project and rise gradually through the retail and hotel buildings, draws on the metaphor of two dragons which have long been a symbol of prosperity in Chinese literature and history. The two dragons proudly stand and protect the City of Shanghai at the confluence of the Yangsi and Hongpu Rivers, thereby expressing the uniqueness of the history and location of the site. 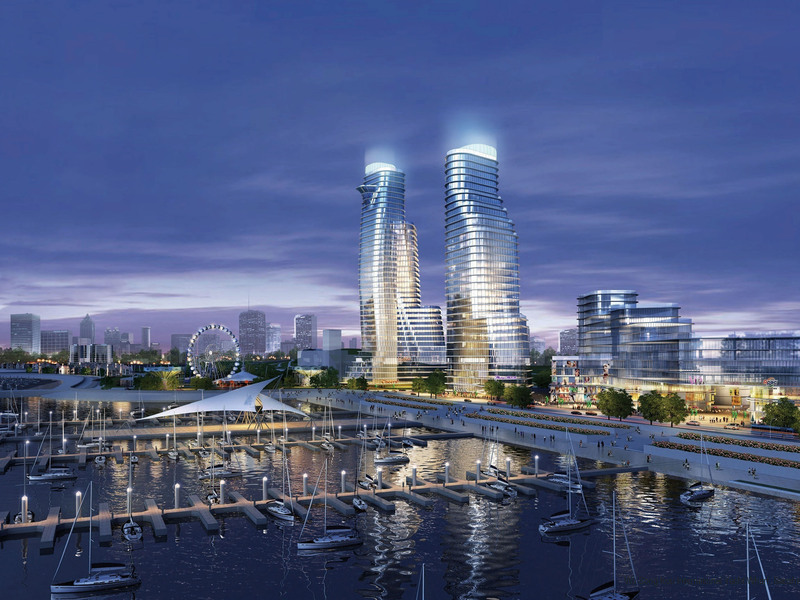 The plan envisions the commercial marina to service the growing recreational boating industry supported by the mixed-use project vision. 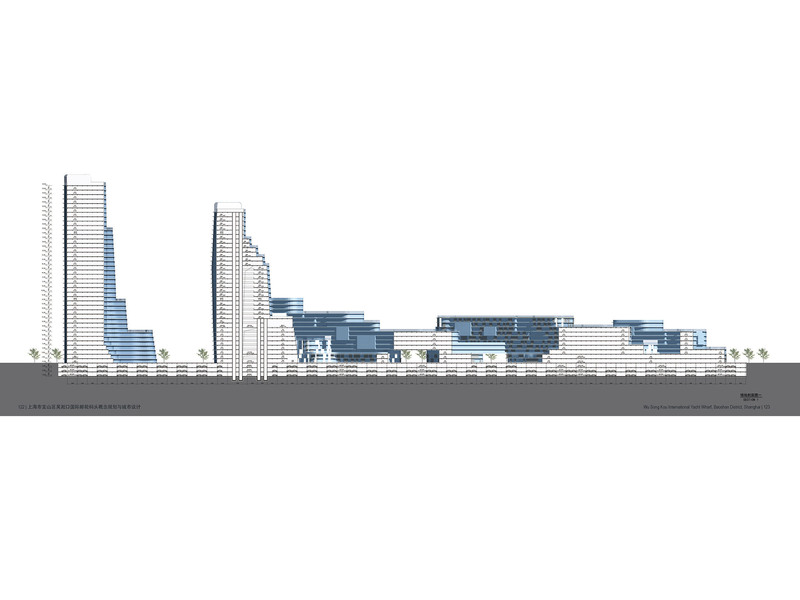 A broad pedestrian promenade along the water and marina connects the retail, office and entertainment elements within Phase 1 as well Phase 2. 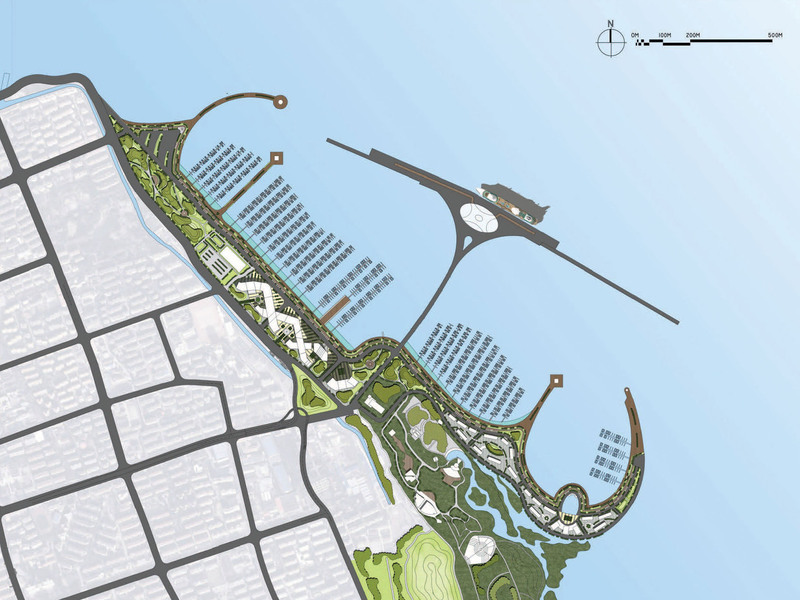 Phase 2 envisions a low-density residential village, shopping area and wetlands park designed to preserve and enhance these natural environments along the western edge of the site.